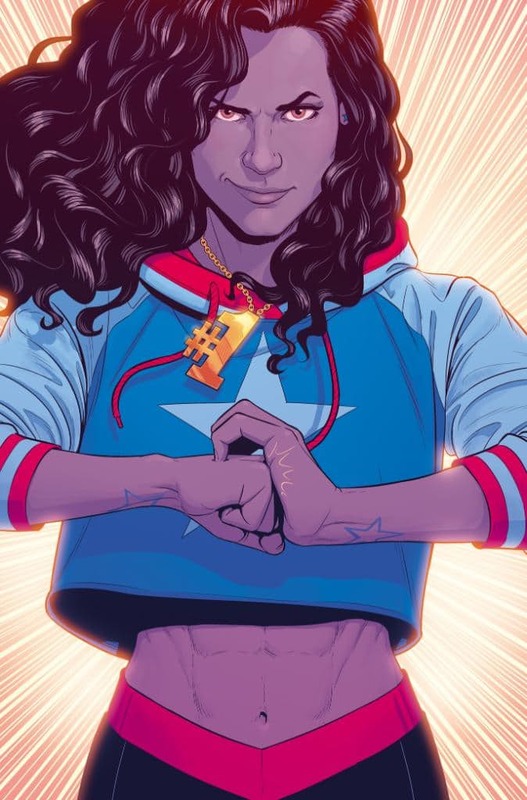 After longtime fan outcry and arm-twisting, Marvel has finally done the right thing and announced that America Chavez will have her own comic book series. Marvel Comics made the announcement at the New York Comic-Con providing very little information. No release date or creative team given but did release the cover for the first issue, 'America,' illustrated by former 'Young Avengers' artist Jamie McKelvie. Along with Kieron Gillen and Matt Wilson, McKelvie helped make Chavez as Miss America a popular hero as part of 2013's 'Young Avengers.' She also represented a rare place in Marvel comics as an LGBT woman of color. Long criticized for a lack of leading LGBT characters while other publishers have begun to prominently feature them, Marvel has finally recognized, begrudgingly or not, that fans want to see more diversity. Created by Joe Casey and Nick Dragotta in 2011, Chavez appeared in the miniseries 'Vengeance,' as an LGBT Latina teenager with superhuman strength, durability, the ability to fly and travel between dimensions. 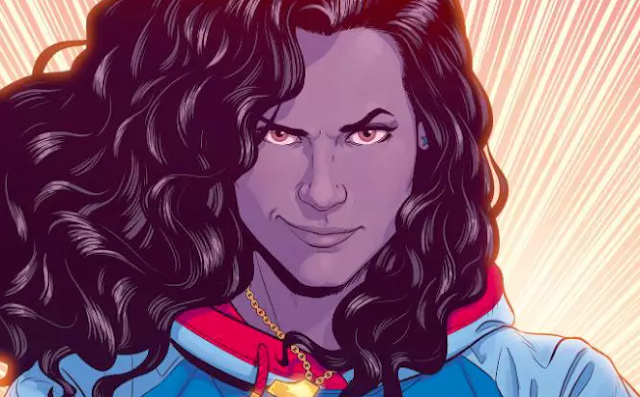 The creators were as tired as the fans were waiting for an America Chavez series that they're making their own comic at Image featuring a leading character named America Vasquez. I'm sure it's just a coincidence. The other question is will Marvel include a creative team that features a Latina, LGBT, or both. To their credit, Marvel has done a better job of putting creative teams together that complement the leading character. Greg Pak on 'Totally Awesome Hulk' featuring Amadeus Cho, Ta‑Nehisi Coates and Brian Stelfreeze on 'Black Panther,' and David Walker on 'Power Man and Iron Fist.' Here's another chance for Marvel to take diversity seriously.